This package can emulate Gameboy console in a terminal in pure PHP. It can run a Gameboy virtual machine by emulating its hardware and executing games Z80 CPU assembly code with PHP code. The Gameboy screen is outputted to the terminal console using braille characters. Keyboard inputs are mapped to Gameboy key controls. Prize: One big elePHPant Plush Mascott Gameboy is a popular 8 bit console created in the 1980 decade. 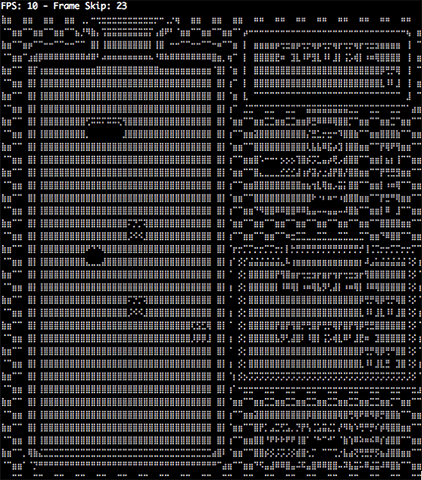 This package can emulate a Gameboy in pure PHP code. It outputs the Gameboy screen to your console terminal using Braille characters. Want to play Dr Mario or Pokémon on your server terminal? That's for you! It's based on the GameBoy JS Emulator. Your roms are loaded from the directory you are running the php-gameboy command. [x] Code standard - PSRs, please! [ ] Classes - Core is too big! [ ] Save/Restore - I need to save my Pokémon, please! The purpose of this project was to study all the capabilities of PHP. It does not have any commercial or profitable intentions. The user is responsible to use this code and its content in the terms of the law. The author is completely against piracy and respects all the copyrights, trademarks and patents of Nintendo.